Recently, Aerosmith announced they will be adding 17 more dates for their headlining residency at Park Theater at the new Park MGM resort. The band will launch “Aerosmith: Deuces Are Wild” on Saturday, April 6th. Aerosmith’s Las Vegas residency, promoted by Live Nation and MGM Resorts International, will bring you face to face with America’s greatest rock ‘n’ roll band in one of the most immersive, state-of-the art audio and video technology experiences in Las Vegas. The show features never-seen-before visuals and audio from Aerosmith recording sessions. Grammy Award-winning producer Giles Martin, known for creating the soundscape for “The Beatles Love” by Cirque du Soleil show in Las Vegas, will create a spectacular show experience. Aerosmith has teamed up with THX and L-Acoustics for their upcoming breakthrough residency at Park Theater to deliver the world’s first THX Certified live performance presented in L-ISA Immersive Hyperreal Sound. 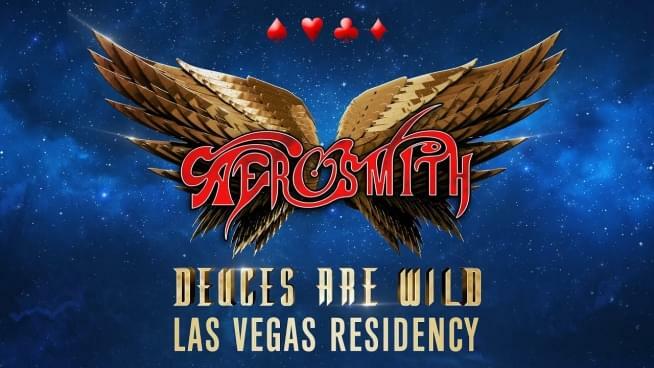 Aerosmith has shared video footage from their rehearsal sessions for its “Deuces Are Wild” Las Vegas residency.